Aeration is a practice that can be done in either the spring or fall, and it is one of the best ways to improve the health of your lawn if the soil has been compacted. Aeration will help your lawn by loosening the soil, allowing oxygen, nutrients, and water to reach the root zone of your lawn. This practice has shown excellent results in the density and color of turf grasses on their way to recovery from summer stresses. Spreading grass seed after aeration is also an especially excellent practice for lawns that have thinned considerably. 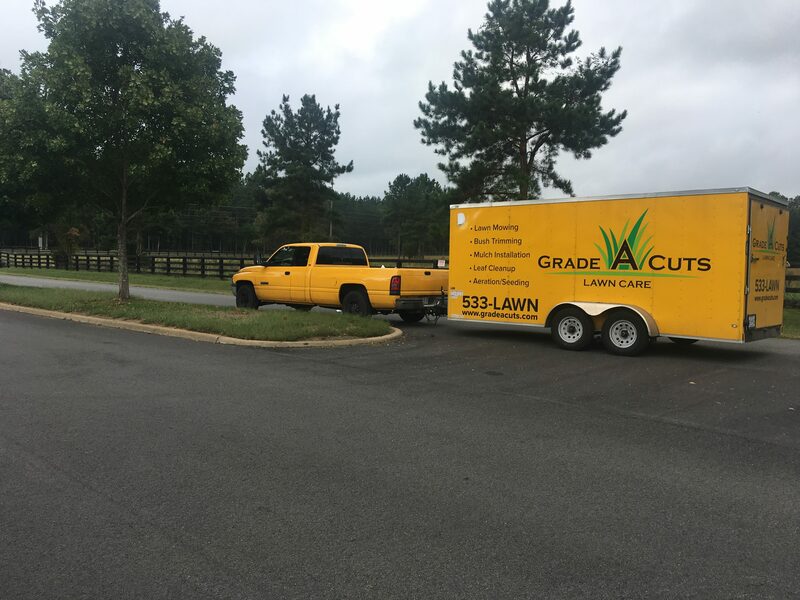 If you compare two pictures of the exact same lawn, before and after seeding, you will understand what the benefits of this service are. Lawns require seeding if the grass has been thinning and if they have had weeds crop up. However, it is our belief that any lawn has everything to gain, and nothing to lose, should you decide to apply a seeding application. Have you ever stood back in wonder at the sight of a lush green lawn? If you want your lawn to look as perfect as that, then seeding is the way to go. The procedure is simple enough. Many types of cool season grass (including tall and fine fescue, perennial and annual ryegrass and some types of bluegrass) have their seeds spread over the existing lawn. 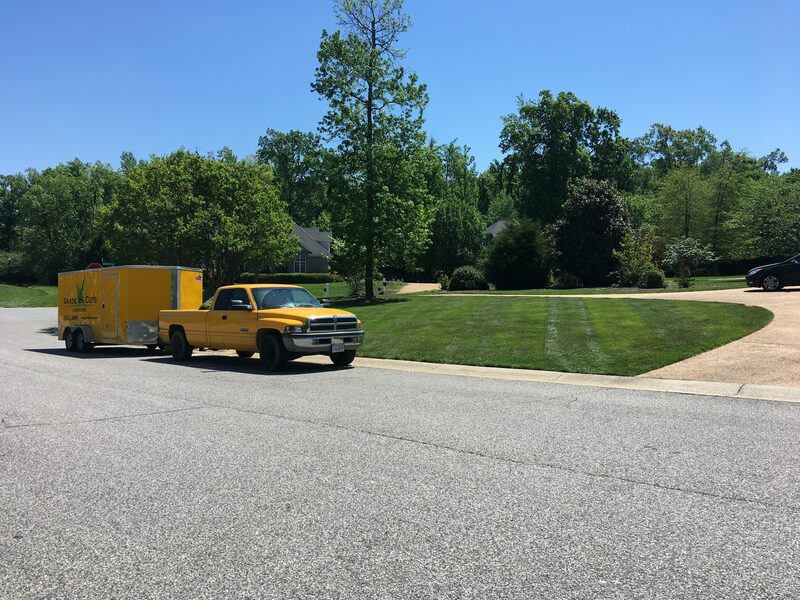 Since these are all cool season grasses, we typically provide seeding services in late summer and early fall – especially since the weather is absolutely perfect for promoting the growth of new grass during these seasons. 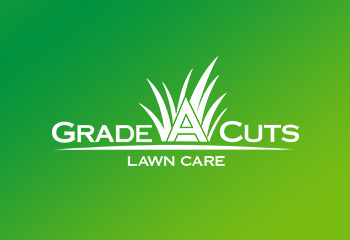 And with Grade A Cuts Lawn Care you can be sure that all of our seeds are top quality, and the best possible choice.